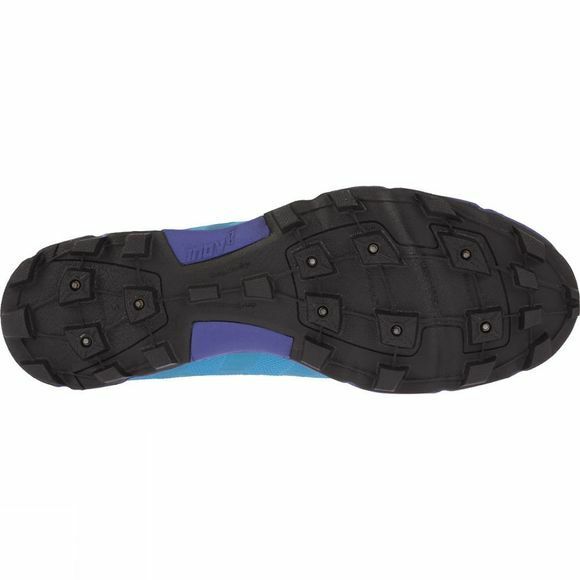 An orienteering shoe that performs on the most severe of off-road terrain, especially slippery ice and frozen ground. The tungsten carbide metal spikes on the outsole grip to everything and anything. 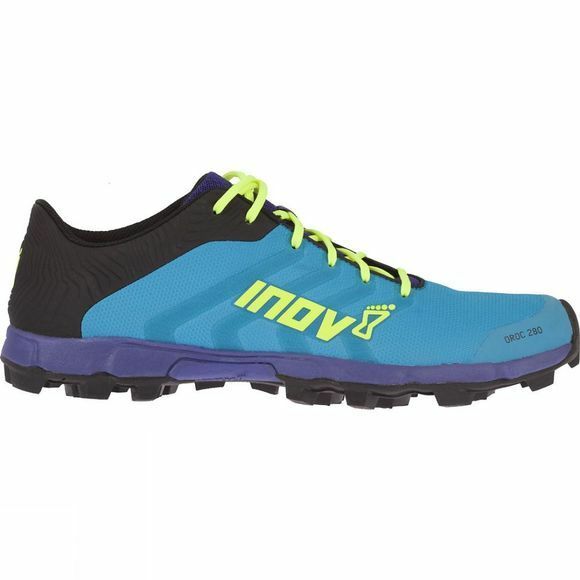 For orienteering, off-trail running, fell running, mountain running. Phenomenal grip: With 18 metal spikes in each pair, outstanding grip is guaranteed. Each spike sits in the middle of a 8mm deep rubber stud, and as the outsole hits the terrain the spike protrudes from the stud to deliver maximum grip. Phenomenal grip II: Industry-leading StickyGrip rubber and Ice-Tec technology (micro particles of glass that increase adhesion properties) work in tandem to ensure unbeatable grip on the most slippery of surfaces. Run in comfort: A breathable gusseted tongue stops annoying bits of debris from entering the shoe, while the PROTEC-PLATE and rubber bumper protect the underfoot and toes respectively from the impact of sharp rocks and stones. Enjoy protection: Lightweight, durable, water resistant upper materials protect the feet, while the MET-CRADLE delivers a secure hold.